Letters by Luigi Desactis, formery Parish Priest of the Church of the Maddalena alla Rotonda at Rome, Professor of Theology, Official Censor of the Inquisition, etc., etc. “My opinion is quite opposed to yours,” said the Waldensian; “and I maintain that a sincere Protestant who sees Rome as it is, finds precisely in its monuments, in its temples, in its hierarchy, in its rites, the strongest arguments to condemn it and to judge it as fallen from the pristine faith preached by St. Paul to the inhabitants of that city. “I finished reading this book yesterday. My one sentence review would be: ‘To begin to understand the depth of depravity men will go to whose motto is, ‘the end justifies the means,’ this book will take you through the front door of the school titled, The Rulers of Darkness and Wickedness In High Places. '” Facebook comment on 7/1/14. Speak of the Illuminati and laughter might be heard. Speak of Satan’s forces be rejected rest assured. Speak of rigged elections and eyebrows might be raised. Speak of shadow governments and surely they will yawn. Speak of FEMA camps and they’ll leave to mow the lawn. Speak of False Flags psyops to receive bewildered looks. Speak of covert stalking and sometimes find the crooks. Speak of man-made storms and they will say it’s God. Speak of mind control and with tinfoil hats they’ll nod. That big names never speak of for fear of that one call. 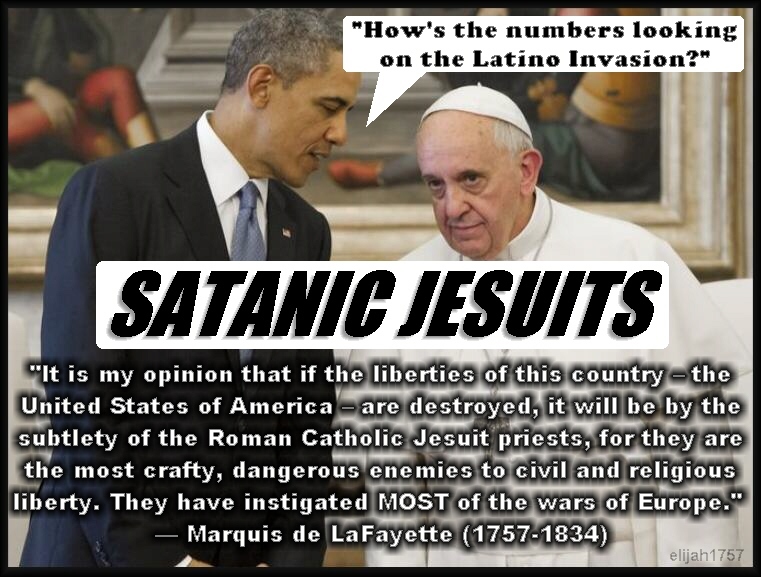 Yes speak of Rome’s assassins, the Jesuit’s goal we’ve seen.